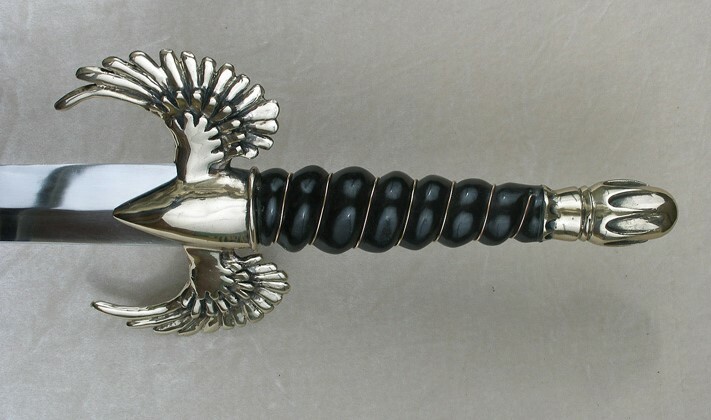 Our standard wing hilt but using the pommel from our horn sword as per request of customer. Blade has center ridge diamond cut 26" long. overall length is 34" Handle is carved ebony.